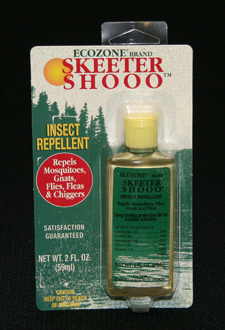 Skeeter Shooo Personal Insect Repellent is effective for all outdoor activities. Does not contain DEET used in most commercial repellents. Ingredients: Oils of Sesame, Citronella, Cedarwood, Geranium and Clove.